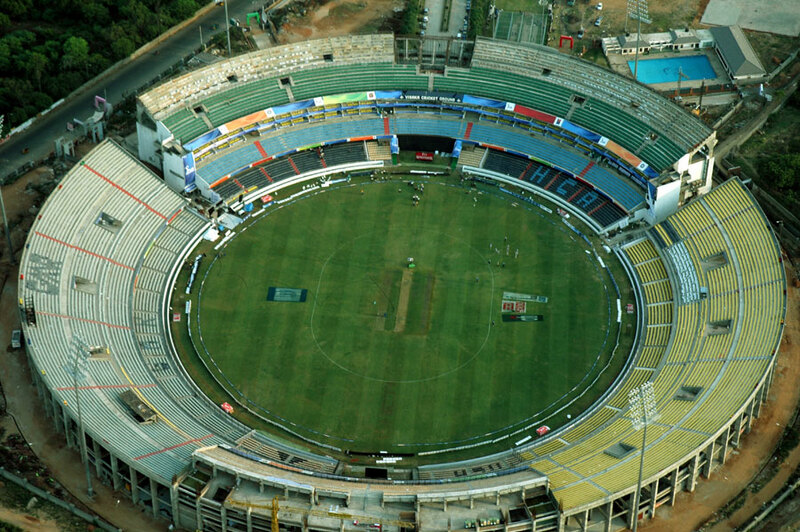 Top Ten Larges Cricket Stadiums In India. confidence in games like hockey and football.In kabbadi we learn the keep a watch and try keeping ourselves out of our enemys reach. 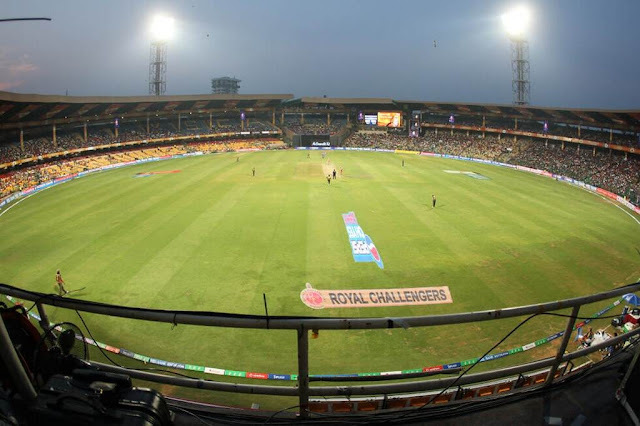 the country,its most successful cricketting stars.As the game is so popular in India,its quite natural for india to have many famous cricket stadiums,which are not only large in their capacity but also equiped with world class features. 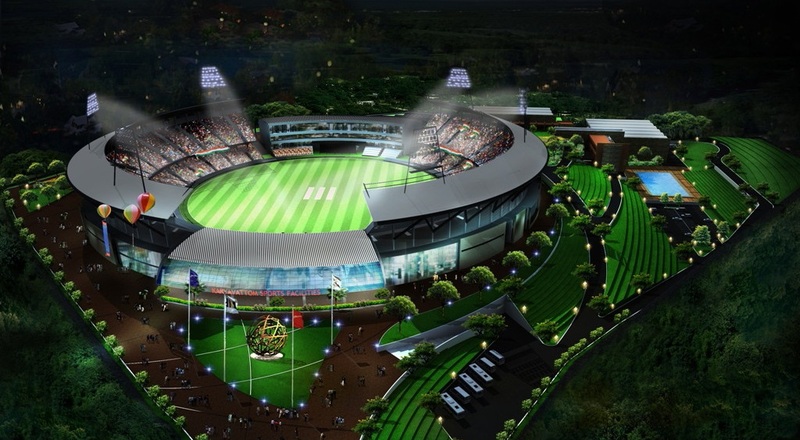 Some stadiums like the Dharamshala Cricket Stadium holds the record for being the highest cricket ground in the world.Here i have tried listing the top ten largest cricket stadiums in India. -Built in 1974 this ground is famous being the home cricket ground of the demi god of Cricket,Sachin Tendulkar.These cricket ground has many unforgettable memories associated with it.This is the ground were Ravi shastri hit six sixes in an over.This is the same ground where the Indian team under the captaincy of MS Dhoni,won its second world cup title.Going by memories and fame this ground is definately number 1,but by capacity of 33,108 it manages at number 10.
scoreboard in april, 2008 playing againts S.Africa Sachin scored more runs here than any other grounds .With the seating capacity of this stadium is ranked at number 9. Formerly known as the Karnataka State Cricket Association (KSCA) stadium,the M. Chinnaswamy Stadium was later rechristened in tribute to Mr. M. Chinnaswamy, who had served the KSCA for four decades and was also president of the Board of Control for Cricket in India (BCCI) from 1977–1980. The 3rd Test Match between India Vs Pakistan in 2007,a lead of 300 run partnership between Dada and Yuvi was shaped,resulting in a fightback from 61/4 breaking several records. India's 365/5 at stumps was the highest 1st day score in whole of India.Ganguly's 239 is the highest left-hander score and the 300 run partnership was the highest partnership at the stadium and the highest left-hander batsmen partnership. This stadium with a official capacity to host 38300 spectators is ranked at number 8. Trivandrum International Stadium or Greenfield Stadium is a multi-purpose stadium in Kerala.The playing arena in the stadium has been constructed in line with FIFA regulations and International Cricket Council norms.Used mainly for association football and cricket,these stadium can host 50,000 spectators along with a open car parking space of 2000.These big numbers put the stadium at number 6. Located in Uppal, an eastern suburb of Hyderabad, this is the home ground for the Hyderabad Cricket Association. It has a capacity of 55,000 spectators presently and extends across 16 acres (65,000 m2) of land. 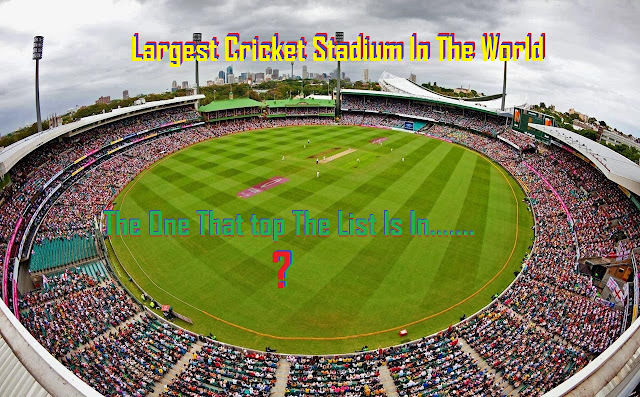 Established in 2003,this cricket stadium stands at number 5. 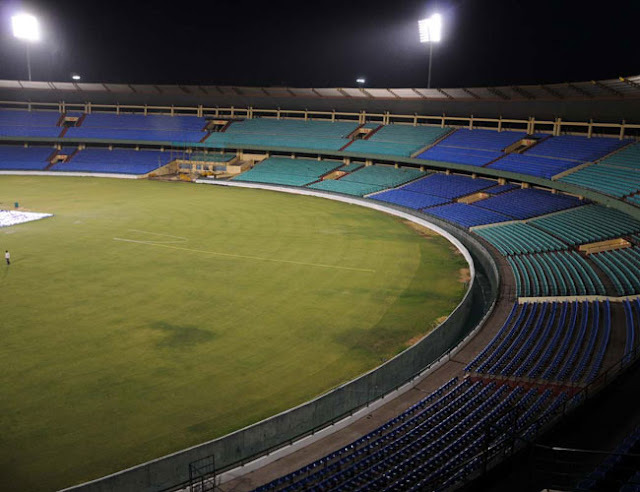 DY Patil Stadium, located in Nerul,Maharashtra was officially inaugurated on 4 March 2008.This stadium is the home ground of the Mumbai Indians,IPL team.The entire ground has bucket seats and cantilever roofs that eliminate the need for columns which gives each spectator a comfortable and clear viewing experience. . The largest sports venue by capacity in Mumbai this stadium can host a strength of 56,000 heads. 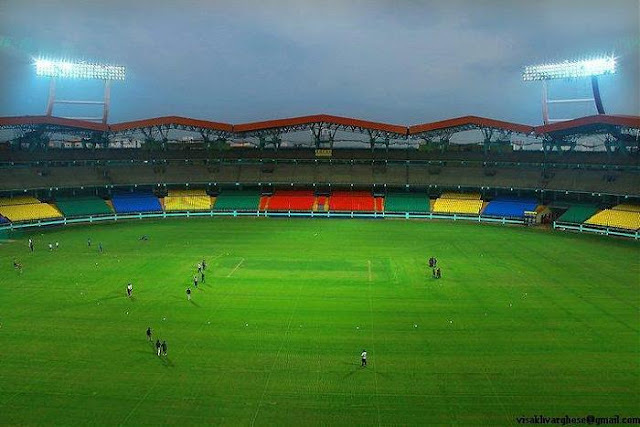 Locally known as Kaloor International Stadium this stadium is a multipurpose international stadium situated in Kochi, Kerala. The stadium acts as the home ground for teams including Kerala cricket team. 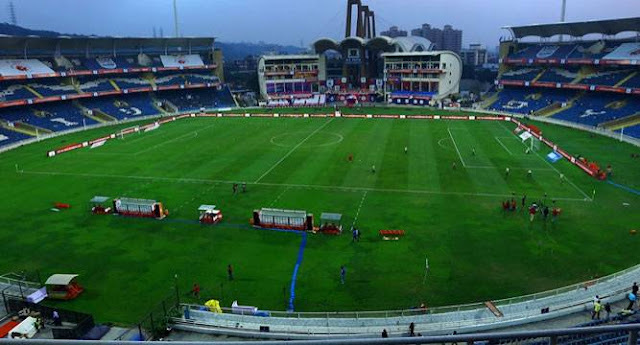 Build in 1996 with a capacity of approximately 61,000,this is infact one of the largest stadiums in India. With such large capacity, we place the stadium a number 3. 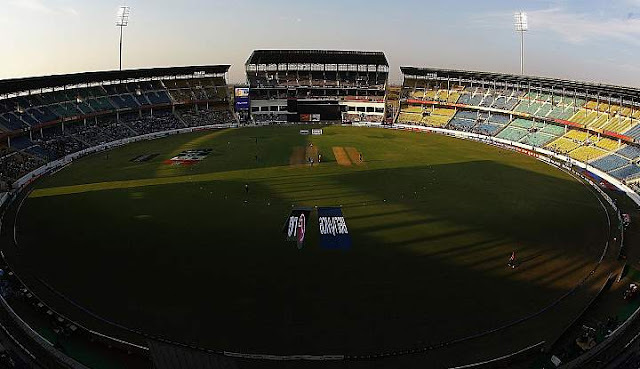 Inaugurated in 2008,the stadium is named after Veer Narayan Singh a landlord from Sonakhan who spearheaded the 1857 war Indian independence in Chhattisgarh.The stadium is tthe homeground for the Chattisgarh CricketTeam.This stadium has a massive seating capacity of 65,000 and is infact the 2nd largest in the whole country. Established in 1864 this stadium is the home venue of the Bengal cricket team and the Kolkata Knight Riders in the IPL, as well as being a venue for Test, ODI and T20I matches. matches in all major competitions including the World Cup, World Twenty20 and Asia Cup.Largest in India ,the Stadium hosts almost 67000 spectators.This figures clearly puts the stadium at the top of all. 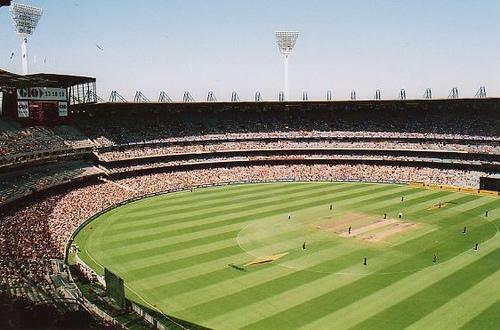 Currently the largest cricket stadium in the world is in Melbourne,but soon this title too might change with the rise of the new proposed stadium with the capacity to host almost 1.1 lakh spectators at Motera. Note :This ranking is based on the official seating capacity of the listed stadiums.The actual crowd however is more than the official capacity ,most of the times.